For many, simply selecting a subject to draw can be a fearsome task, let alone finding the right vantage point, determining the composition and actually putting pen (or pencil) to paper. Who knew there were so many hurdles involved in creating a simple drawing? Imagine we’re strolling down the street of a seacoast village. A delightful harbor is on one side, centuries old buildings are oozing charm on other side of the street. Subjects abound in every direction. Quite honestly, I usually go for what hits me first. Your subject should speak to you in some way and make you want to say something about it. Whatever speaks loudest is where I start. 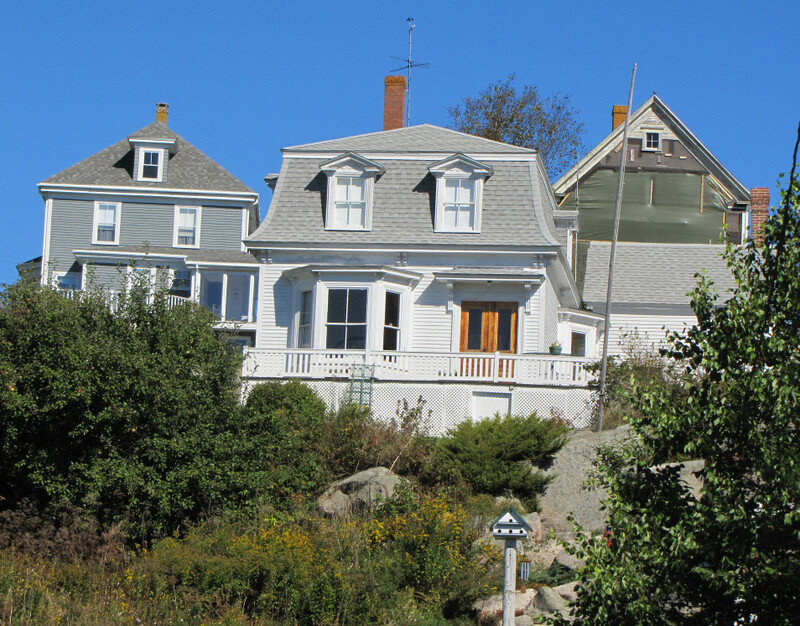 Walking along the street I look up and see some houses on a hill with a view out to the water. I’m fascinated by the stories they must hold. Who has been watching out those windows? What has happened within those walls? How many generations of fisherman have lived there? With a subject and vantage point, we’re halfway there; now how about that composition? Even though I see bushes and rocks and all manner of picky things in the foreground, again, it’s about the houses. 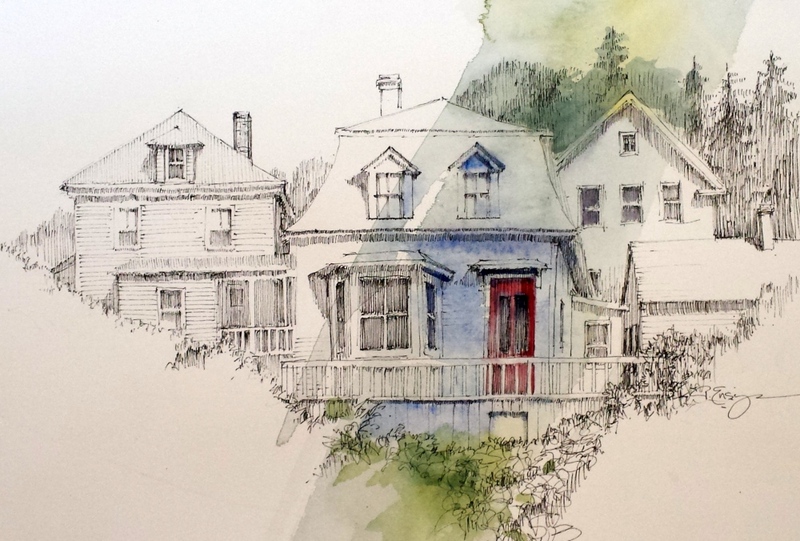 I plan the houses high on the paper and leave out most of the foreground. I ignore the fact that one of the houses is being remodeled and fill in what I think ought to go there. As I begin drawing I simplify while retaining enough character to create impact. I add a few more trees behind to add weight. The final touch to my drawing is the red door. No, the original’s not red, but maybe it should be.